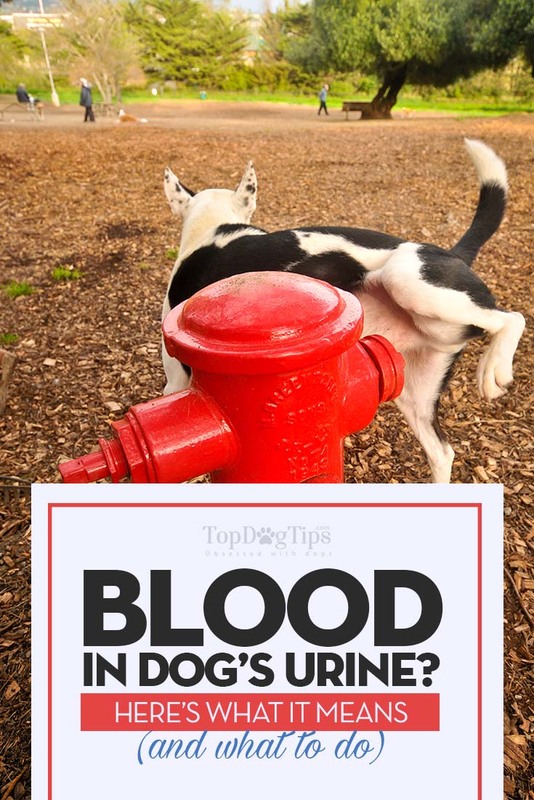 You have been walking your dog regularly, and while out on your regular trip your dog urinated on the sidewalk where you terrifyingly noticed a small amount of blood in dog urine. In a panic, you race home to call your veterinarian worried that this is something very serious. What could it mean? Your veterinarian assures you that it could require immediate treatment, but you should try to remain calm. Blood in dog urine is called hematuria, and could have a variety of causes. Some of these causes can be treated quickly with antibiotics, while other conditions could be life threatening for your pet. You'll need to seek veterinary treatment immediately, no matter what the cause. Blood in dog urine CANNOT be treated at home. Your veterinarian may run a number of tests, one of which will surely be a urinalysis, to discover the cause of blood in the urine. Once they discover the cause, you'll be able to discus treatment options. Of course, the options available will vary depending on your dog's age, overall health condition and the reason for blood in the urine. Don't worry, I'll explain everything in this article. As most doctors do, your veterinarian left you with a medical term and not much else to go on. You are worried about your dog, and wonder what does all this mean and what can you expect when you get to your vet’s office. Hematuria is simply a catch all technical term for blood in dog urine. This condition can result from any type of irritation or inflammation of the urinary tract. Blood in the urine can be detected visually and can be especially obvious when your dog happens to urinate on a light surface. The coloring of the urine can vary and not be obviously red, but shades of amber, orange, or brown. There are times when your dog’s urine can appear normal, and through medical testing there will still be some blood discovered. Once your veterinarian runs these blood and urine tests, the cause of your dog’s hematuria will be discovered and treatment started. When you get to the veterinarian’s office, remember you are most likely more terrified than your dog. Your dog has no idea why it is there for this mystery visit. Stay calm and know that your vet has plenty of experience and will be able to diagnose the appropriate treatment for your dog. There are some things that you and your dog can expect and be prepared for on your visit in order to get a proper diagnosis. Your veterinarian will want to do a complete physical and go over your dog’s entire medical history. After your veterinarian goes over the results of these tests, he or she will be able to come to a diagnosis for your dog’s specific condition. There are a wide range of conditions that could lead to blood in your dog’s urine, or hematuria, this is why it is so important to have your vet run these types of diagnostic tests to determine the cause of the hematuria. While your veterinarian is running the diagnostics and you are waiting for the results, you learn that there could be many causes of hematuria. The treatment that your dog will get, will be determined by the end results of the diagnosis. 1. Urinary Tract Infections – These are more common in female dogs and are usually treated with a round of antibiotics. A urine culture and antibiotic sensitivity testing can help determine if a specific antibiotic is required for the infection. Can occur concurrently with bladder or kidney stones. 2. Bladder or Kidney Stones – There are generally two types of stones related to the bladder and kidney. The struvite stones can usually be dissolved through acidification of the urine. This is achieved through diet and medications. Calcium stones, do not dissolve well, and require surgery to remove them. 3. Cancer – Hematuria can be a symptom of cancer of the urinary tract, bladder, or kidneys. Your veterinarian will suggest life pro-longing treatments that can include surgery, chemotherapy, or radiation. Palliative care or simply making your pet comfortable at home may be an option. 4. Trauma – Your dog may have suffered an injury to the urinary track which has led to the hematuria. Discussing the injury with your veterinarian will help with the diagnosis. Your vet will likely prescribe rest and pain relief for your dog. Severe injuries may require surgery to repair the urinary track. 5. Bleeding Disorders – There are a variety of bleeding or clotting disorders that can cause hematuria. Thrombocytopenia is associated with a low platelet count and is quite common. As much as 5% of all dogs admitted to veterinarian hospitals show some signs of a low platelet count (Ward DVM, 2008). 6. Benign Prostatic Hypertrophy (BPH) – Prostate issues and disorders are only common in unneutered male dogs. Unless you are breeding your dog, your veterinarian will have already have suggested that you have neutered your dog as early as possible. Neutering is a cure for BPH. 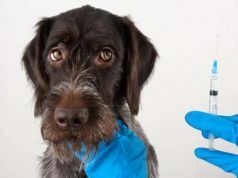 When you see conditions like cancer on the list of common causes of blood in dog urine, you are going to be even more worried about your dog. While waiting for the test results, you can discuss your concerns with your veterinarian. Your vet will tell you that cancer of the kidneys and urinary tract is rare. Don't count out bladder cancer or other serious causes, but don't stress yourself out by assuming that the diagnosis will be this serious. There are, however, certain breeds that can be predisposed to a certain type of urinary tract cancer known as transitional cell carcinoma (TCC). Still, you will need to wait for a diagnosis in order to treat the hematuria in your dog. You should also know that hematuria can be caused be another condition within the body like diabetes. The condition will have to be treated in order for the hematuria to subside. 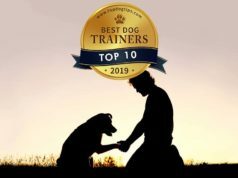 Your vet will go over all the test results before coming to a diagnosis and preparing a treatment plan for your dog and his specific disorder. Treatment will depend upon your dog’s underlying condition. If your dog has a urinary tract infection it can be considered systemic – meaning the underlying condition must be resolved. If your dog shows signs of dehydration it will be given extra fluids. An antibiotic sensitivity test will be done to determine which antibiotic will work best for a urinary tract infection or general bacterial infection. In the case of urinary tract stones or injuries, treatment may require surgery. In some clotting or bleeding disorders, there can be an indication of a severely low blood count and this is treated with blood transfusions. Other conditions such as diabetes, urolithiasis, and kidney failure can be treated with medication and a prescription diet modification. Before leaving the veterinarians office, ask about any possible side effects from the medications you will be giving to your dog. Note any specific diet modifications that you will need to follow at home. Once you bring your dog home, it should be closely monitored. Be sure to give your dog plenty to eat and drink. Plenty of fresh water should be available at all times. Follow your veterinarian’s recommendations regarding feeding and medications. When your dog is taking antibiotics, for any reason, you need to complete the entire course of medication, even if your dog seems better. Find out when your dog will need to go back to the vet for checkups. While he is waiting for his next appointment, you should monitor him for any setbacks or reactions to medications. Be aware of any changes in appetite, vomiting or diarrhea. If severe or bothersome you should call your veterinarian. If your dog seems to be recovering, then suddenly seems to be having a problem while urinating, such as being uncomfortable, producing only a small amount, or the blood increases, you should call your veterinarian. If your dog is straining and has becomes unable to urinate call your veterinarian immediately. These conditions, if left untreated are potentially fatal.